The Urlar Estate is an upland estate situated on the hills to the South of the Tay valley near Kenmore and Aberfeldy. The landowner applied for and obtained planning permission for these wind turbines in 2011 with the help of RM Energy, a Perth-based medium-scale wind turbine specialist. Sharenergy is a Shrewsbury-based co-operative that helps community groups to establish community owned renewable energy Societies. Sharenergy started as a spin-off from Energy4All, a not-for-profit company that in turn owes its origin to the Baywind community wind Co-operative in Cumbria. Sharenergy has an excellent track record in supporting successful community renewable energy projects in Scotland and beyond. Sharenergy and the landowners were introduced through RM Energy and began working on development of the Society in 2014. Heartland Community Wind Limited was incorporated and registered with the UK Financial Conduct Authority as a Community Benefit Society number 7067 on 19 January 2015. The Society has been set up with 3 founding Directors. Directors will in future be elected from among the membership. The Society is completely independent of Urlar Estate, Sharenergy and RM Energy. The Society’s Rules are based on Co-operative UK’s Model Rules for a Community Benefit Society. A copy of Heartland Community Wind’s Rules is available from the project website or by application to the Society (see back of this Offer Document for contact details). Heartland Community Wind is currently focused on the establishment of the first two turbines but will continue to seek opportunities to open ownership of wind turbines to the wider community in this area of Scotland. 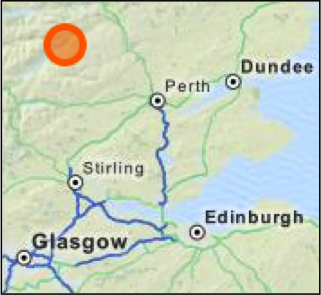 The turbines will be situated on the saddle between two hills Meall Greigh and Meall a’ Choire Chreagaich in an exposed site at 530m (1740ft) above sea level. The site is a heather-covered grouse moor some 1600m (1 mile) from the nearest dwelling and well sited to avoid visibility from Loch Tay, Kenmore or Taymouth Castle. 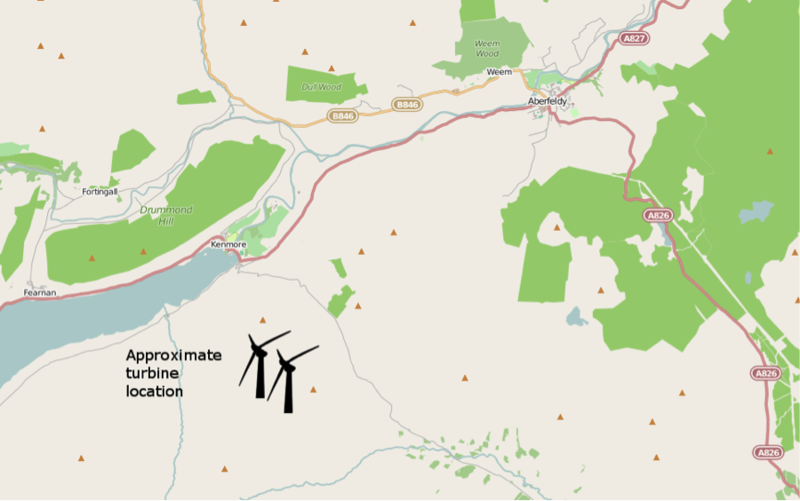 The turbines have full current planning permission from Perth & Kinross Council. The figures in this document are based on a Wind Resource Assessment carried out by Digital Engineering. This uses a best-of-breed digital model to estimate wind conditions on the site, yielding a predicted 20 year average yield of 995 MWh/yr. This figure is an energy output prediction, which takes account of losses in the system. The Society will be installing two WTN 250kW turbines. 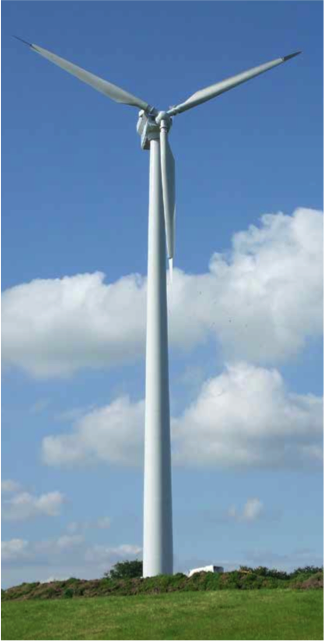 The turbines have a hub height of 30m and a blade length of 15m, giving a tip height of 45m. WTN have been manufacturing turbines since 1986 and there are over 200 WTN machines of this model currently working worldwide, with 80 operational in the UK. The turbines are made by a family firm in Northern Germany to a well-established design that has been proven over more than 20 years operation. More documents regarding the turbine are available on the project website. The turbine uses solid and well-proven technology. This is reflected in high uptime figures across the turbine fleet. The turbine system is supplied and installed with a 5-year product warranty from WTN. The warranty is validated with a commitment to a 5-year Service and Maintenance contract, which in turn introduces a 5 year 95% operational uptime guarantee from WTN. Penalty payments are made on the basis of lost Feed-in Tariff and export income. Non-consumable parts are replaced at the owners expense at the end of the 5- year warranty. The electricity produced by the turbines will all be exported into the local network. The Society will seek to maximize income by obtaining quotes from the leading buyers of renewable electricity for power purchase. In addition the Society will receive the Feed-in Tariff. Preliminary accreditation for the Feed-in Tariff was obtained in December 2014 in order to assure that the rate of Feed-in Tariff then in force will apply for this project. Preliminary Accreditation holds the current rate for 12 months and the turbine must be generating before the end of 2015 in order to receive this rate. Summer 2015 Groundworks start on site. Autumn 2015 Completion and commissioning of turbines. Spring 2017 Second AGM. First payments to Members and Community Fund. A grid connection has been secured from the Distribution Network Operator. This connection has been paid for and is a binding commitment. The turbine production slot will be booked with the payment of deposits funded by this share offer. The Society will create a Community Fund, set at a minimum of £5000/yr, which is twice the commercial ‘best practice’ level. This Fund will increase with turbine performance. The Fund will be distributed by a local Trust and will aim to fund activities not currently within the remit of other commercial Wind funds. From 2017 the fund will be used to assist young people from the Aberfeldy area with their further and higher education. 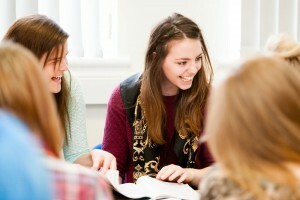 The fund will be used to enable five Bursaries at Perth UHI College of £1,000 each to be used towards studying costs. Only students who live in the Aberfeldy area will be eligible for the bursaries, and they will be awarded based on merit and across subject areas. The decision on who will receive the bursaries will be made annually by the college jointly with the Directors of the Society. After three years the bursaries will be reviewed to ensure they are meeting their purpose of boosting young people’s employment prospects. A binding Option has been signed committing the Society and Landlord to the terms of a Lease. These documents form the legal basis on which the Society will occupy and rent the land on which the turbine will be constructed, as well as the arrangements for access to the site and grid connection. The Society will take up a 21-year lease on the site which allows time for construction and 20 years of operation. The Lease provides for a base rent to the Landowner plus additional rent in the case of good turbine performance. The Lease also provides for a lower rental rate in the case of income lower income. This protects the Community Fund and member returns.